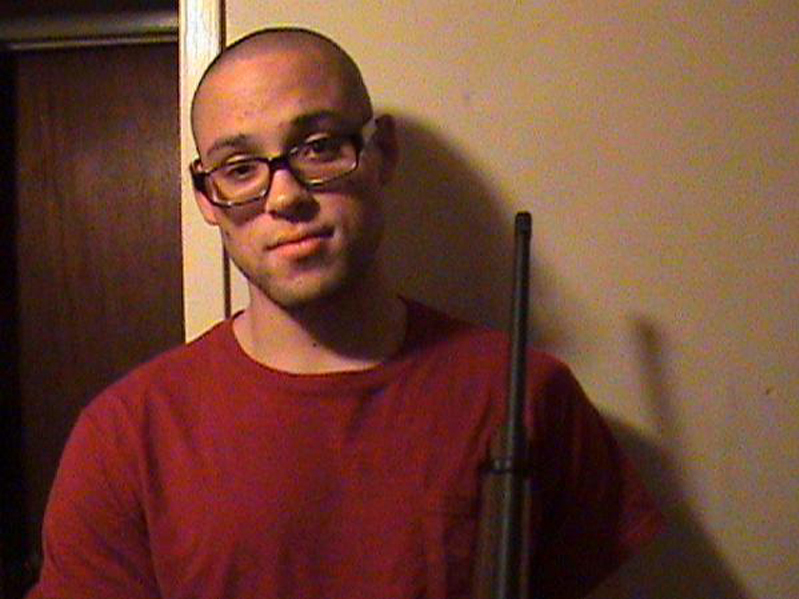 What We Know About The Oregon Shooter : The Two-Way Authorities say they still don't have a motive for the shooting rampage at Umpqua Community College that killed 9 people and wounded 9 others. Authorities are trying to build a profile of the 26-year-old gunman who shot and killed 9 people and wounded as many at a western Oregon community college on Thursday in hopes of discovering what his motive might have been. The Douglas County Sheriff, John Hanlin, has refused to say the shooter's name, stating that he doesn't want to "glorify" him, but officials have said he is Christopher Sean Harper-Mercer and that he was killed at the scene in a shoot-out with police. -- He killed himself during a shootout with police at the scene of the campus shooting. -- He was a student at the school and targeted fellow students in a writing class he was enrolled in (per officials). -- He graduated from the Switzer Learning Center in Torrance, Calif., in 2009. Switzer is "a private school for students with learning disabilities, emotional issues and other special-education needs," according to The New York Times. -- He joined the U.S. Army in 2008, attending basic training at Fort Jackson, S.C., but quickly washed out. -- Had a fascination with firearms. He carried six guns during his shooting rampage and another eight were recovered at his home. ATF official Celinez Nunez has said all the weapons were purchased legally. She also said that authorities had recovered a steel-plated flak jacket with five magazines of ammunition lying next to a rifle at the scene of the attack. -- He appeared to express admiration for Vester Lee Flanagan, the man who carried out a dramatic, on-camera attack in August, killing two of his ex-colleagues at a Virginia television station. "I have noticed that so many people like [Flanagan] are alone and unknown, yet when they spill a little blood, the whole world knows who they are," Harper-Mercer wrote in a blog post, according to CBS News. "A man who was known by no one is now known by everyone. His face splashed across every screen, his name across the lips of every person on the planet, all in the course of one day. Seems like the more people you kill, the more you're in the limelight." -- In one or more online forums, he identified himself as "non-religious, but spiritual." According to some survivors, he asked whether they were Christian before opening fire on them. However, for others, he apparently did not. As the rampage progressed "there was less engagement between the shooter and his victims and he shot randomly and appeared to be trying to kill as many people as possible," a law enforcement official close to the investigation tells NPR. -- The Times reports that he had a MySpace page with pictures of himself and of gun-wielding members of the Irish Republican Army.